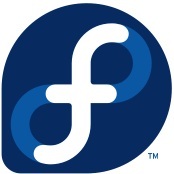 Well known open-source developer Lennart Poettering has shined some light onto Fedora Workstation's packaging state that it could be beneficial reducing the set of packages installed by default. Lennart initiated a discussion this week entitled: Can we maybe reduce the set of packages we install by default a bit? In there he points out there are some packages installed by default that may not make sense for Fedora Workstation or at least if the user isn't relying upon them... From a cursory examination on a new Fedora 30 Workstation beta install, he points out multipathd, dmraid, ATD, Crond, and Libvirtd. For most users not explicitly using them, it's just wasted space that is there by default. In the case of multipathd and dmraid it's a bit silly especially on laptop installs, but it was pointed out in the ensuing discussion that as a limitation of Fedora's live install capabilities, the packages present on the live install get transferred over to the resulting installation... Since Fedora Workstation supports DM RAID installs, it ends up on the resulting installation even if unused, at least until those live/install limitations are addressed. In cases like crond, it's only used by a limited set of packages. Or in the case of libvirtd while widely used by some, why have the service running by default out-of-the-box if it's not being used. So there is a discussion taking place about potentially trimming some of these packages out of the default install moving forward, but for at least some of them there are technical hurdles to first be crossed. As a friendly reminder, the Fedora 30 beta was released last week for those interested in testing it ahead of its early May debut.